This was a leadership challenge run by students from saltash.net Community School in the UK. They became the first students to present as experts to an international ministerial conference in 2014 as a result of this work. 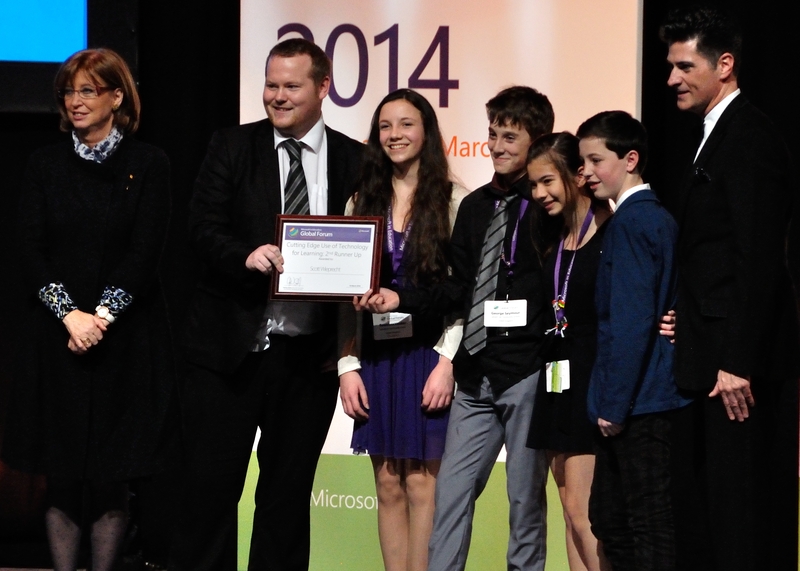 The photo shows them collecting their award from the Spanish Minister of Education and worldwide Head of Microsoft Education. Step 2 – For each challenge they did they produced a 2 minute PPT of their evidence. Step 5 – This was envisioned as children taking over the running of the scheme entirely and a couple of the teams had considerable success in this respect but the open nature of the platform they were using did not lend itself to unsupervised contact and so the project was not developed to the next stage.